Showing all news posted in the Latest News category. The long running scheme with which AMA have been involved for nearly a decade has been submitted for planning to progress forward to construction stages. 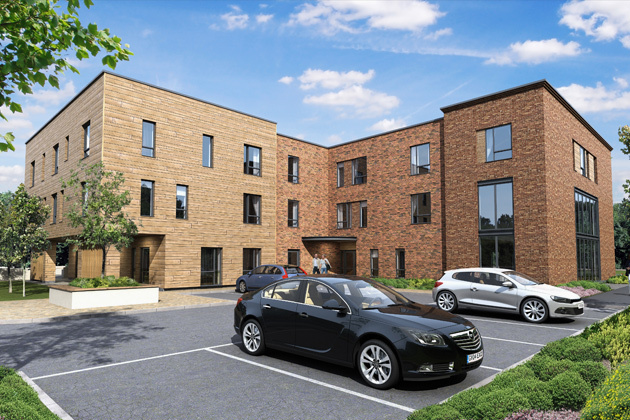 The scheme at Troutbeck Road, Sheffield has been submitted as part of 4 unit care village site towards the Derbyshire county border. The unit, for Steps Rehabilitation, will provide neuro and orthopaedic specialist care for 23 residents as well as housing a gym, hydrotherapy pool and cafe; all of which are available for use by other buildings on the care site as well as the wider community.The project will now hopefully progress quickly and aims to start on site in summer 2015. 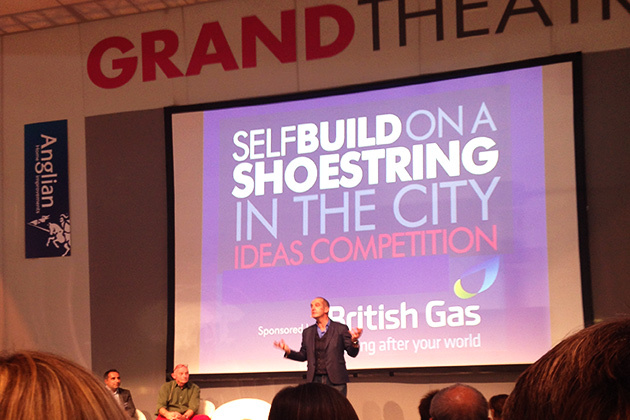 AMA have recently fended off a host of top names in the world of architecture with their submission for the Self Build on A Shoe String competition, organised by NaCSBA, Grand Designs LIVE and British Gas. 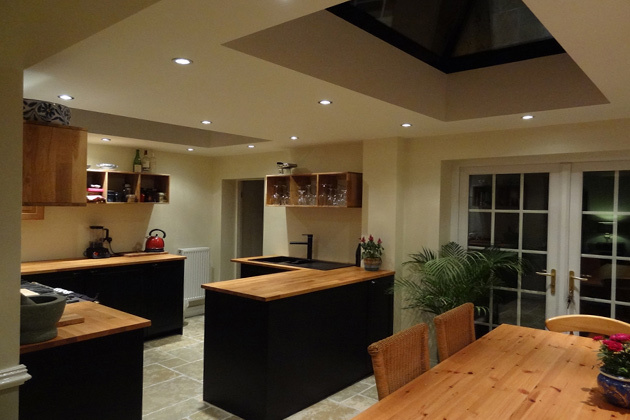 The focus of the AMA submission was ‘Maximum client input, minimum expenditure’ the result of which allowed communities of self builders to create a range of one to five person homes for less than £58k each. Among the shortlist of some top names in the industry, including Sarah Wigglesworth Architects, the AMA design impressed Kevin McCloud and other judges enough to secure third place, beaten only by Jon Broome Architects in second place with the 3-firm collaborative project led by Levit Bernstein taking the win. 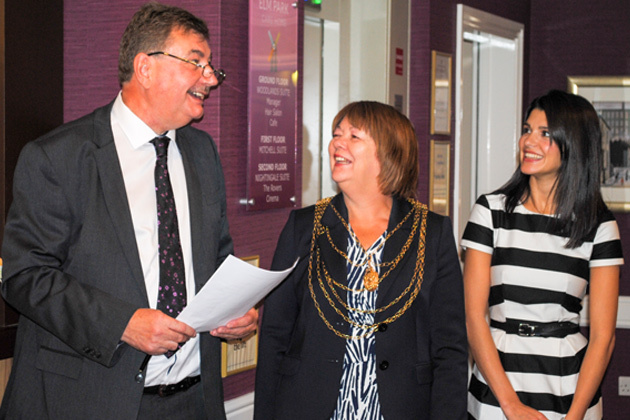 Darrington Healthcare Limited invited Pat Haith, Doncaster’s Civic Mayor, and Emmerdale actress Natalie Anderson to open the Alston Murphy designed Elm Park Care Home in Doncaster on 17 September and staff from AMA were there for the occasion. The Practice was delighted to be involved in the project, designing both the building and the interior décor, and working with Walter Thompson Contractors to build a great 75-bed Care Home. We congratulate Darrington Healthcare Limited and wish them every success with this, their second Care Home in the area. AMA are excited to have been shortlisted for the RIBA North East Streetscape competition, on show in the ArchiTruck at Grey’s monument today. 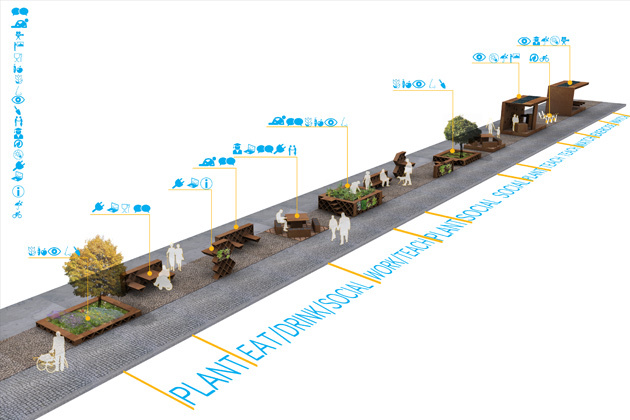 The concept behind the idea was to provide an easy to install family of street furniture, which allows users to Socialize, Teach, Learn, Exercise, Volunteer or Relax – even producing energy by incorporating equipment alongside the furniture. “We can see these on streets in city centres, in remote rural areas, in peoples private gardens or as features in care buildings.” said Ollie Currie, continuing that “the beauty is in the simplicity, which also offers the flexibility to go anywhere, diversity is the key”. The AMA scheme seems to be doing well in the public voting and with formal judging taking place on Monday 22nd Sept, here’s wishing us good luck with that.